The HP LaserJet Pro M1210 SERIES contain full-features for businesses to surpass their everyday business processes. The printer facilitates appealing features to print, fax, scan, and copy. The compact device incorporates an Ethernet connection and retains energy-efficient measures to ensure your bottom line increases. The HP LaserJet Pro M1210 SERIES is 12 inches in height, 10.4 inches in depth, 17.1 inches in width, and 18.3 pounds that will fit on any office desktop mantelpiece. The baseline HP LaserJet Pro M1210 SERIES permit users to incorporate the hardware they need. Most printers come with a set of distinguishable and valuable features, but most clients pay for features they do not need. The HP LaserJet Pro M1210 SERIES comes with a power cord, paper tray, phone cord, phone handset, HP LaserJet black print cartridge, guide, and a CD containing the software, for a quick and easy install of the printer. The printer compatible connections consist of a RJ-45 network, RJ-11 telephone line-out, RJ-11 fax, and a High-Speed USB port. The HP LaserJet Pro M1210 SERIES have been modernized to work with 32-64 bit operating systems from Windows XP, Windows Vista, and Windows 7. The Mac OS X versions 10.4 is compatible with the printer. The HP LaserJet Pro M1210 SERIES has an input tray that supports up to 150 sheets of paper, 10 envelopes, or 75 transparencies. The output bin supports up to 100 sheets of paper, 10 envelopes, or up to 75 transparencies. The Automatic Document Feeder will hold up to 35 sheets of paper. For a 4-in-1 printer, the paper capacity surprisingly exceeds the sufficiency of businesses procedures. The printer print speeds for the M1210 SERIES will eject up to 18-19 pages per minute for both, letters and A4. The resolution of complex graphics will be 600 pixels per inch, 300 pixels per inch for normal text and graphics, and 150 pixels per inch for photos. The HP LaserJet Pro M1210 SERIES support Portable Document Format, Joint Photographic Experts Group, Graphics Interchange Format, Bit Map, and Tagged Image File format for digital transportation to other computers. Copies at 300 dots per inch are sufficient for most businesses and home offices. The scan feature will provide 1200 pixels per inch with color with the flatbed scanner. The fax memory stores up to 500 pages, and the recovery process of memory will be valid for four days following a power failure. For a printer that contains all the features to complete essential duties in the office or outside, the printer's power consumption during activity is only 365 watts. Most printers limited in multi-functions have a power consumption level of 400-1,200 watts. The HP LaserJet Pro M1210 earns the energy star label for being one of the most useful printer economically-friendly. The HP Care Pack provides excellent, comprehensive support for 2-3 years. The comprehensive package covers refurbishment, replacement, shipping and handling, technical support for telephones, remote diagnostic services, and various hardware replacement. Businesses who purchase the Care Package will not have their businesses processes procrastinated with the overnight shipping of permanent replacements. If you use the document feeder for scanning, the copy will be at 300 pixels per inch which is well below the maximum capacity. 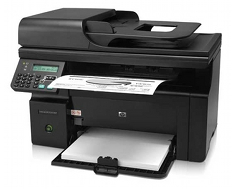 The HP LaserJet Pro M1210 SERIES facilitates manual duplex printing. The Linux platform may not be compatible with the SERIES. Review it: "HP LaserJet Pro M1210 "
The process of redistributing toners in the HP LaserJet Pro M1210 SERIES is effortless. 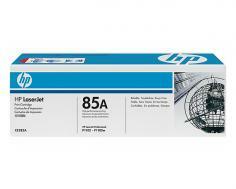 The HP LaserJet Pro M1210 SERIES will take OEM Toner Cartridge and produces a yield of 1,600 pages per cartridge. To replace or the cartridge: lift the scanner assemblage, open the print-cartridge door, remove the cartridge, and install the new one. 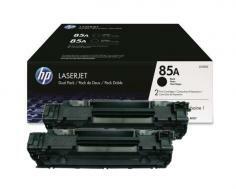 To redistribute the cartridge: remove the cartridge, and gently rock the toner, from the front to back.